Just some sketches while trying to draw something out of my mind. It’s not ready yet apparently. 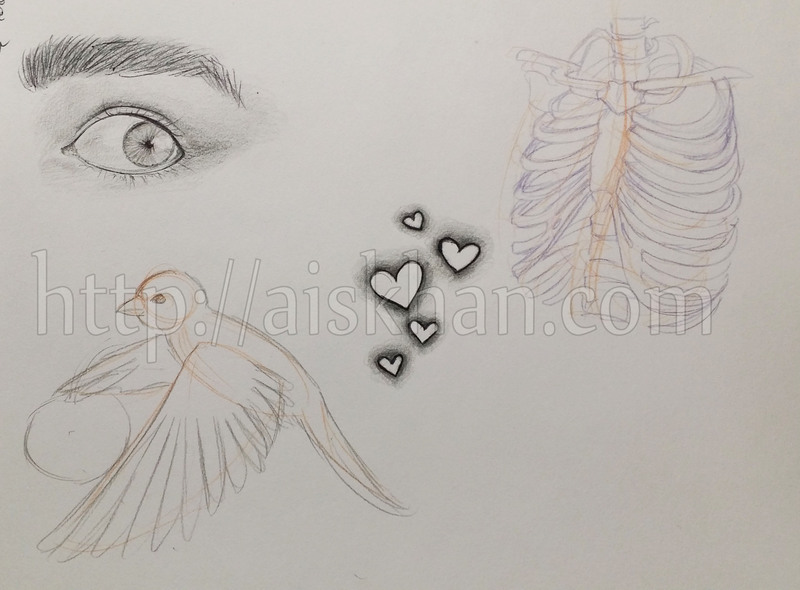 We have a spooked eyeball, cute hearts (make a cute brooch, or a tattoo), a roughly drawn ribcage missing a few ribs, and a sparrow playing what looks like basketball. Col-Erase Pencils in Orange, Black and Purple, 0.5 mm Black Ballpoint pen. So everything with skulls, bones, and flowers like this I think I’m simply going to name with human names. 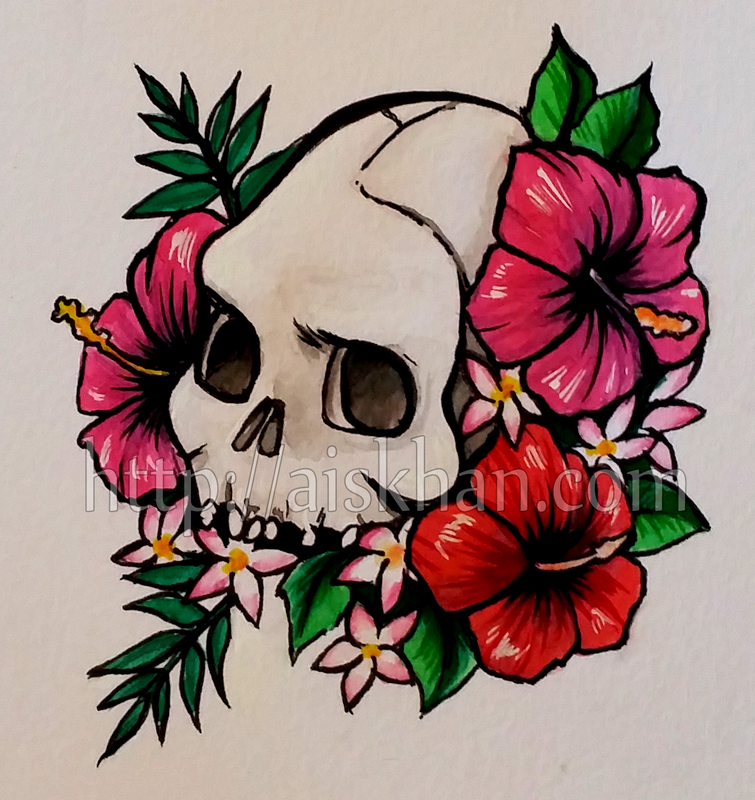 Just a human skull, with some greenery and hibiscus and plumeria flowers. I suppose this would translate well as a tattoo design. Pan Watercolours, Pentel Brush Pen, Dr. Ph Martin’s White Ink, Kuretake Brush Pens. So this piece I had originally done for myself at some point. This was done ages ago, I think back in 2008, and as I look at it now I realize it has no real appeal to me to actually put it permanently on my flesh. So, in that regard, I shall show it to you all. If you get this done on you, firstly, please ask me if I’m down with you using it, and secondly SHOW ME the end result. I enjoy seeing my art on people. It makes me grin like a dork. I’m going to be posting some old stuff for a while, since I have not been actively drawing at all lately. 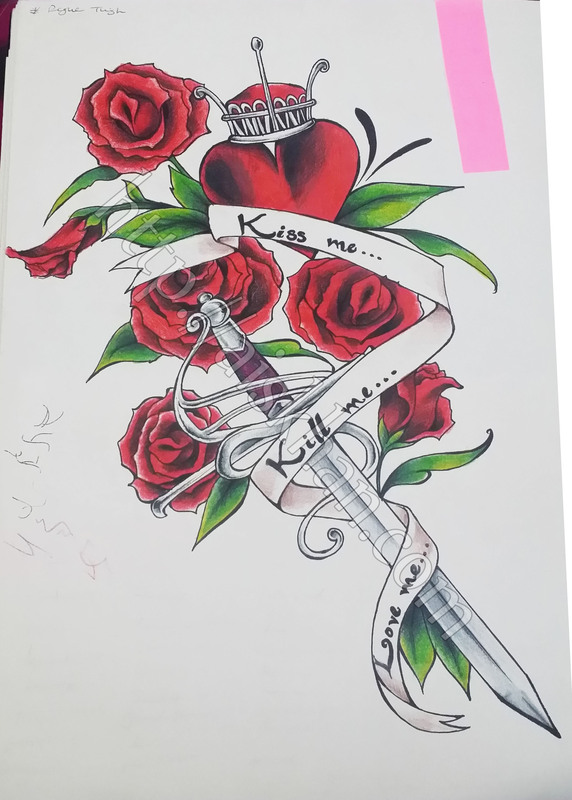 Here’s a tattoo design I did for a good friend. 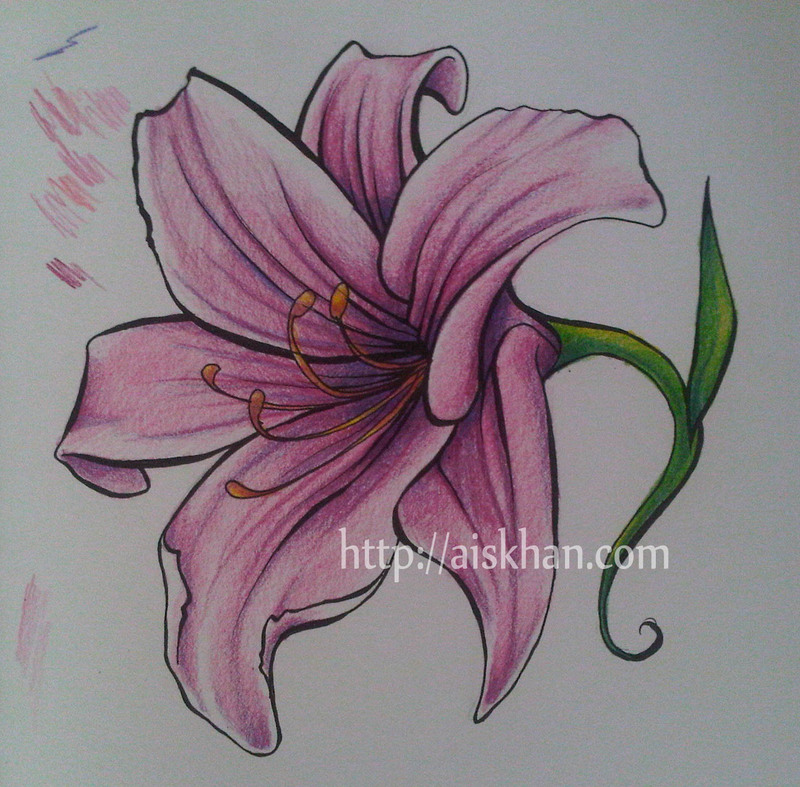 She wanted a flower, so we looked at a few different types and she decided on a lily. This is the end result. I need to learn to not test colours on the good side. 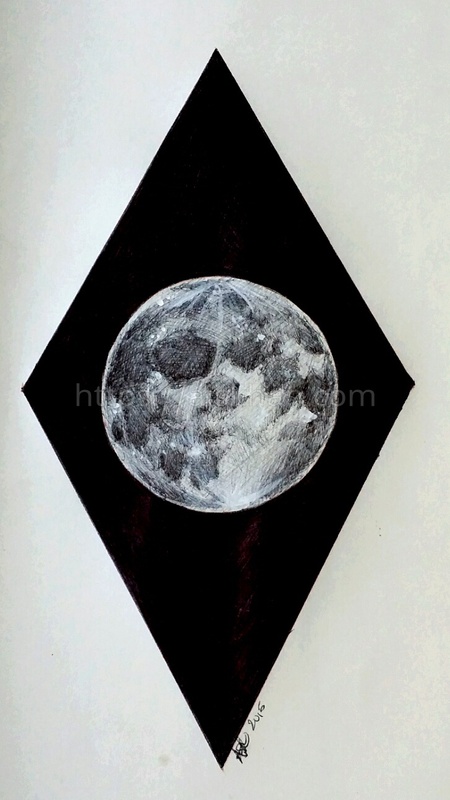 0.5 mm Pigment Liner, Crayola/Laurentian coloured pencils.